18 kt tri-color, comfort fit, 8.2 mm wide, wedding ring. 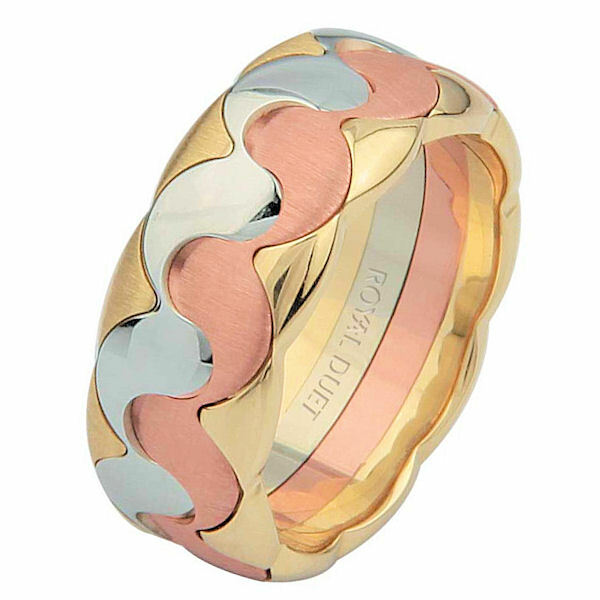 The band has a combination of yellow, rose and white gold to create a beautiful design. It has a mix of brushed and polished finishes. Different finishes may be selected or specified.